A new and attentively restored edition of the economic, political, and philosophical platform of worker's rights, given back to the German tradition from which it stems. 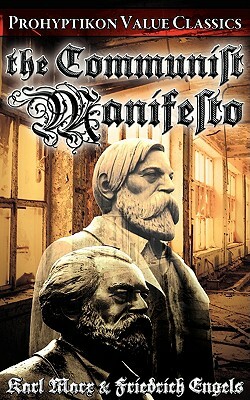 Inspiring innumerable revolutions since first penned in 1847, and serving as the cornerstone of Soviet policy, very few people alive today can honestly claim that it has not affected their lives personally and profoundly. Marx and Engels set forth to define, for their fellow members of the Communist League and the world, the difference between Socialists and Communists, the lack of decent literature, the differing forms and history of the ideology, and the doctrine of class struggle throughout the ages between variant forms of proletarians and bourgeois.